On September 19th Athena turned 6. It was a relatively small celebration. My parents weren’t able to come over for dinner which is usually part of the festivities. We went to their place the weekend before for a bit of cake. And we’ll get together over Thanksgiving when my sister and her family are down and my mom is back from a conference out west. When I have foster children, I’m prone to extravagance. Athena arrived three months before her 2nd birthday. 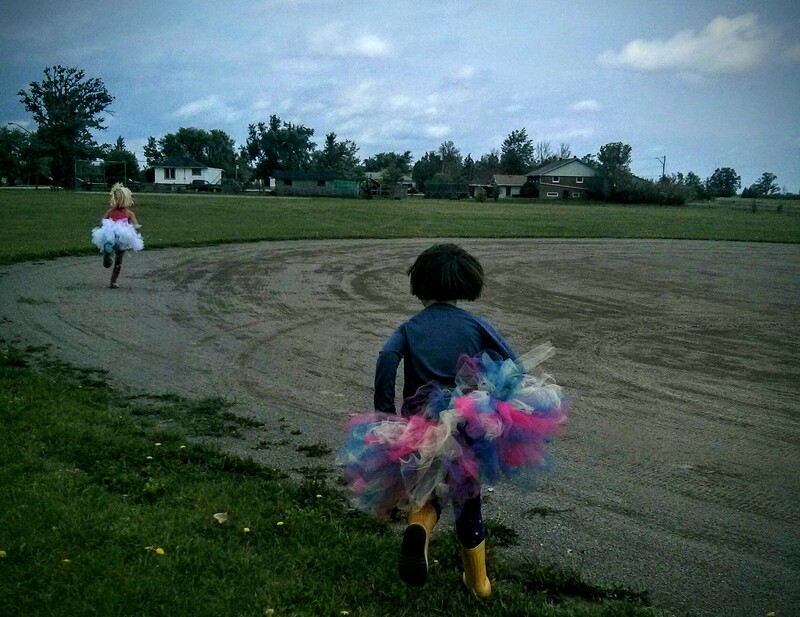 I made her a dress, a cake, invited a fellow foster family over for dinner. There were streamers, balloons, party hats, and fancy plates. It was all picture perfect. Since the adoption took place, I’ve slowly been moving away from that self-inflicted pressure. Last year we celebrated with friends at a local indoor playground then had my parents over for dinner. Some of those friends have since moved away and the playground is closed on Saturdays. Athena would have been happy to replicated last year’s festivities but that wasn’t possible. So we had to come up with something else. 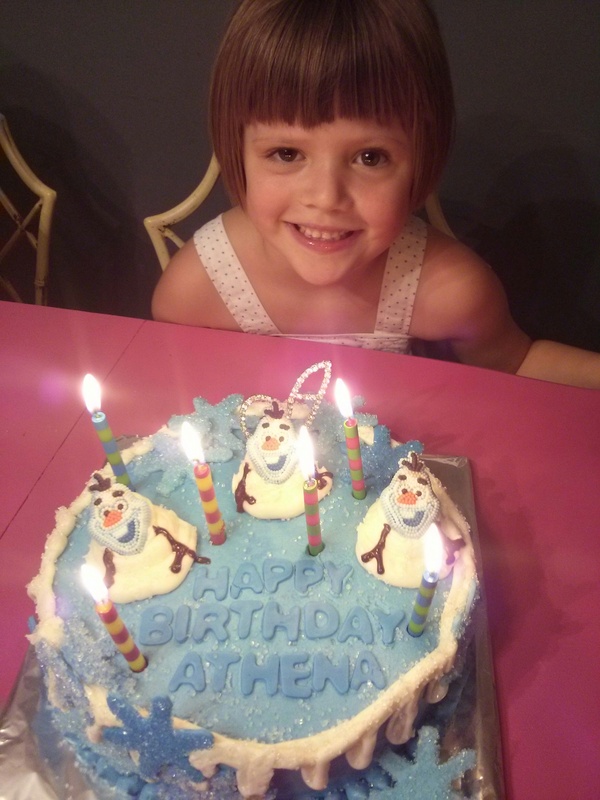 She selected a Frozen birthday cake – made by her favourite cake maker. The picture we saw on-line had one Olaf. “For the birthday girl,” I said. Athena couldn’t imagine not sharing. She ordered three Olafs so that she, her sister, and our foster child could each have one. I’m continually surprised by Athena’s generosity. Our foster child was leaving early the day of Athena’s birthday for an overnight visit, so we had cake the night before. Then opened presents after breakfast. 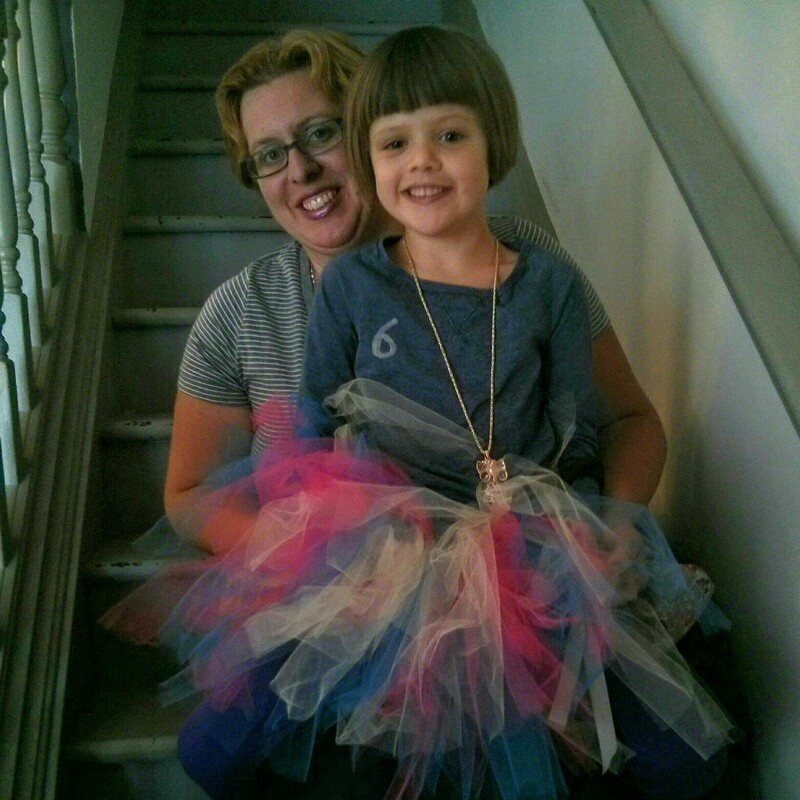 Athena picked out the colours for the tutu I made her. 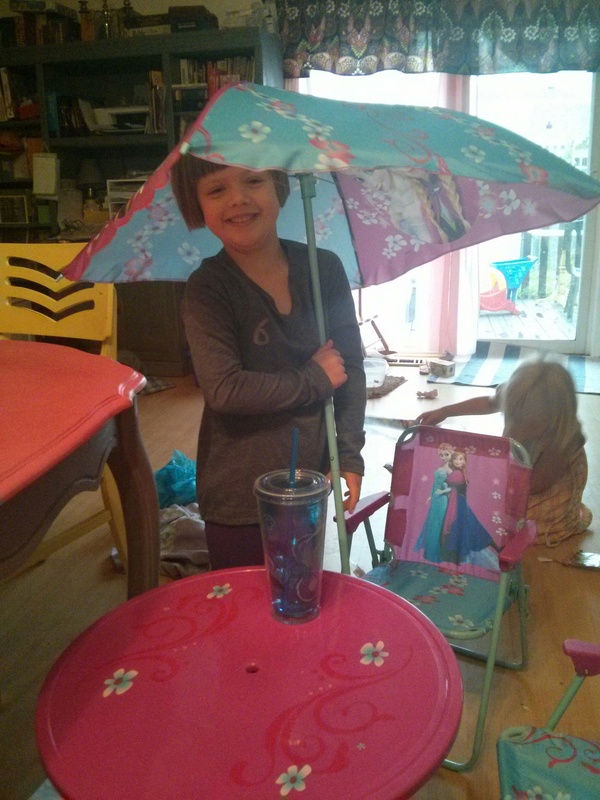 She spent the morning playing with her new toys (including a Frozen patio set). Then we headed to McDonald’s playland. I’ve been living in a small town for over seven years now. I forget what the city is like on a weekend. The line up to order food was nearly out the door at McDonald’s. And the playland was crowded with kids from a birthday party. We got drive-thru and went to a secluded park. Athena was happy to run around the baseball diamond with her sister. At home, they watched a movie Athena picked out at the library. There was popcorn with candy Athena chose from the Bulk Barn. This year’s birthday was all about Athena making choices. Sometimes that’s hard for her. She doesn’t always know her own mind. Often, as an accommodating second child, she defers to Raine – who is very opinionated and always knows what she wants. But Athena was able to make choices on her own. She didn’t even tell Raine about the three Olafs on the cake. That was a surprise Athena planned for Raine and our foster child. She also picked out a movie and candy, ignoring Raine’s suggestions. Not that I want her to disregard those around her, but Athena could stand to know her own mind a little more. So that’s what this birthday ended up being. It was low key and not very impressive, but Athena was wildly happy. And, I suppose, that’s all that matters. There’s no need to impress social workers with elaborate parties. I’m now free to live in a manner that satisfies my child. As the day evolved, I decided to enjoy the liberty. That made the celebration, small and casual as it was, a source of joy instead of something I felt the need to apologize for. Athena was happy. That’s all that I needed to worry about. And now she’s 6. Growing and changing, Athena continues to amaze me. She’s often silly and loves to laugh. She’s quick to forgive and eager to give all she has. Birthdays always remind me of when she arrived – shy and shut down. My lovely daughter is nothing like that now. She’s full of life and love. I’m so glad she’s mine. Saturday mornings, I have a booth at the local farmer’s market. In hopes of getting some extra money for a newer vehicle (which you’re welcome to help with), I sell tea, granola, muesli, and organic bread. Intending to buy a bunch of fruit from one of the vendors, I didn’t pack very many snacks for the kids this week. The regular fruit vendor, however, did not show up. That suited Raine just fine. The vegetable farmer beside us has carrots she really likes. I sent her over to buy a bunch. But she came back with two. Raine spent five hours either talking about her love of carrots, eating them, or caressing her face with the carrots. Freshly picked, the dirt from them smeared all over her face and hands. But she didn’t care. Didn’t even want to wash them before eating them. Bags of chips were turned down as she begged for another bunch of carrots. The grower of these carrots, in his mid-20’s and childless, kept commenting, “I’ve never known anyone to love carrots quite that much.” He flippantly invited Raine to come pick some this week. She, of course, thought him to be serious and asked me to fix an exact date and time. He tried to explain the toil involved in harvesting carrots, mistakenly thinking this would deter Raine from wanting to come. It didn’t. She assured him, she’s very strong and certainly up to the task. “I can even pick up my sister and she’s much heavier than a carrot,” Raine explained. 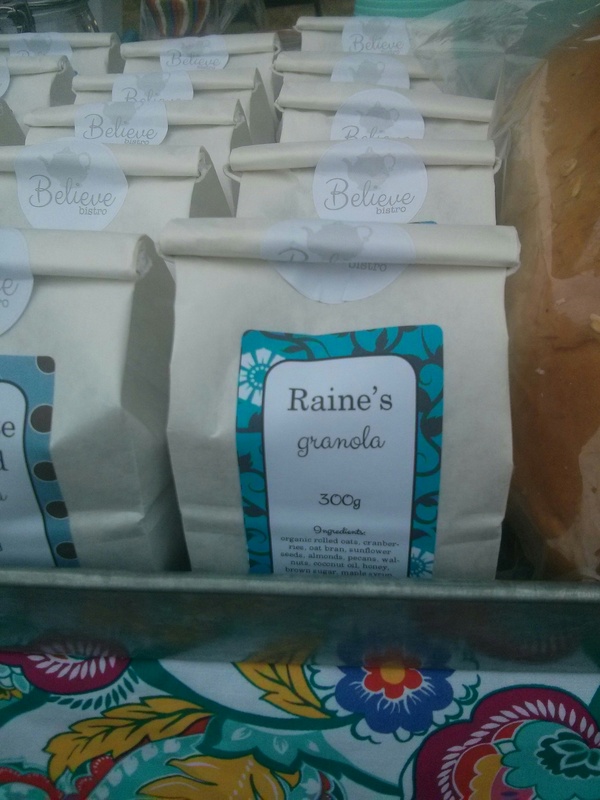 As most people are, the man was completely overwhelmed by Raine’s tenacity. He gave her a bell pepper as a parting gift. The entire drive home, Raine continued talking about her love of carrots until Athena finally shouted, “We know! 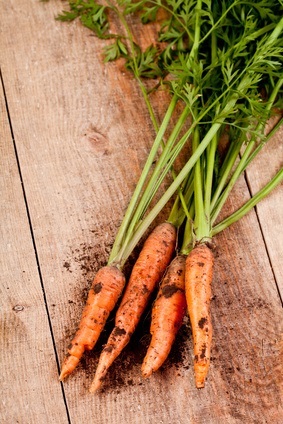 We know you love carrots! Stop telling us!” Yes, for the love of carrots, could you stop talking about them for a moment, I thought to myself. But out loud agreed to think about taking her to the farm to pick some.